Words by LV Rogers Secondary School teacher Jake MiddleditchLocal support is building the next generation of riders. You won't see it walking down the street, but rather snaking through the Backwoods of Nelson, British Columbia. 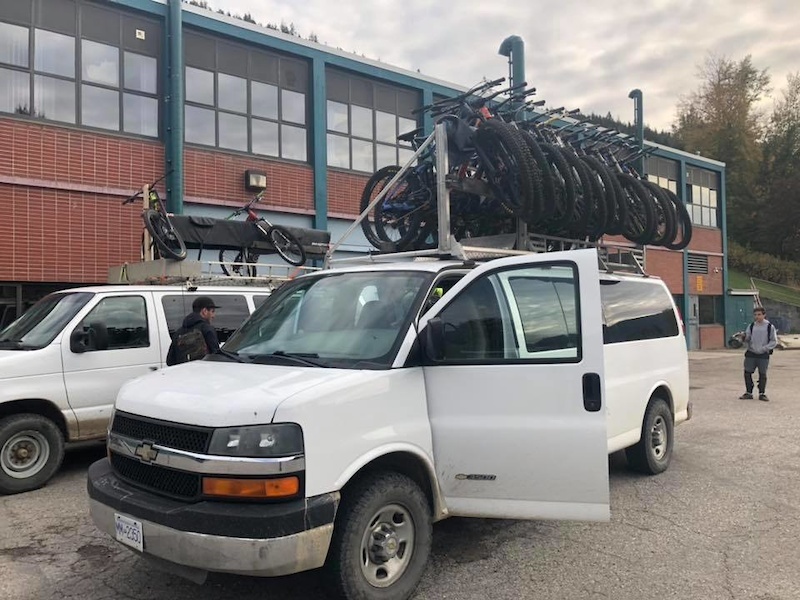 The high school here, LV Rogers Secondary School in Nelson, has developed a mountain bike team and has accredited courses, where kids can get graduation credits for mechanics, building trails, development plans, and riding bikes. The past five years of team development, and last year’s first year run of the course, have truly been an amazing experience for everyone. I feel so fortunate to be a part of it! Everyone who has ever thrown a leg over a bike knows the unbridled joy and kid-like emotions it brings out. The laughter and ridiculousness that accompany riding are unrivaled. I am a sport junkie and pretty much try anything put in front of me. I tried pickle-ball it did not make me giggle like riding at full pin over mud, rocks, roots, and certain disaster... The downside of biking is how hard it can be to actually get a bike to chuck a leg over.The reality is that biking is a very expensive sport. It is expensive for me as an adult which means that it can be impossible for a kid. As a parent, costs sometimes prohibit what we can do. 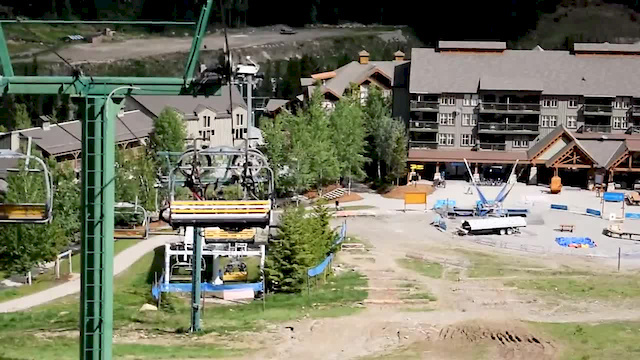 Recreation has a cost that can be so high that it can stop us before we ever hit a trail. When I began the development of these programs, it quickly became clear to me that many more kids wanted to ride bikes than were financially able to. Good bikes are expensive, cheap bikes break, and old bikes take a ton of work and money to fix and aren't ideal in terms of our modern expectations of standards and safety. The Nelson City Police started the ball rolling by donating a dozen seized and unclaimed bikes to LV Rogers Secondary School. Some were townies that we fixed and sold and added the profits to the pot. Some were old and inappropriate and we gave them to young people to get around town. Three of the bikes were DH bikes. One I was able to return to the rightful owner with a huge thanks and smile, while the other two went into the team stable. Two extra kids were now able to ride that could never afford it, the flame was lit. I started thinking about all the old parts I have in various bins. We all have those bins of random parts, so I put out a request through local social media groups asking if anyone had any random bits they wouldn’t mind donating. The response was amazing. Within a week, donations were pouring in. Through the contributions of local riders and businesses, the first Frankenbike was born. Gerick Cycle Nelson and The Sacred Ride offered (and continue to offer) free mechanic time and essential parts to build it all up and check that bikes are safe. We could not have made this work without their support! Over the course of the following year, five more Frankenbikes have rolled out of the shop. Shuttle skills day! Thanks to Kootenay Mountain Biking & Vertical Ventures. In the middle of the first build, I received a call from my good friend and riding buddy Mike Kinrade, one of THE original full-senders in Drop In and Where the Trail Ends, who is now Retallack's Operations Manager. He said that he may have some parts to contribute. An hour later, I walked out of his house with three boxes of support, including many new parts, forks, brakes, stickers, shirts, and premium swag. The kids were so excited. It was seriously better than Christmas since you can’t ride (non-snow) bikes in Nelson at Christmas. The program grew, kids got on bikes, stoke multiplied. Another trip to the Retallack head office and an hour later my truck had three carbon Kona Operators, a Specialized status and $5,000 in parts. I’m talking enough brake pads to never worry, rotors, full brake sets, drivetrains, bars, and more! I drove back to the school and into the parking lot, where my team was waiting. I told them that these are OUR bikes, Retallack just donated all of this to us! 2018 year-end team edit. By Evan Forst Retallack is an operation that has a bottom line, they need to make money, pay staff, fund trail development, manage tenure, preserve habitat, ensure safety, and function through two distinct seasons. This is what they do. But, I have come to see that the reality is very different. Retallack, Gericks, The Sacred Ride and local riders are more than companies and people that do things. We are the people and companies that ARE mountain biking. A massive thanks to all of the people, volunteers, coaches and organizations involved in making this happen!